Have an idea for a new product or other invention idea? Need invention help or advice? We don't have all the answers, but we have collected one of the largest and most comprehensive collections of resources and information on the whole invention process. Just look through a summary of our resources below or if you are looking for information on a specific topic, try using our search box on our site to look for the information you need. We have thousands on articles giving help and tips on almost all aspects of the invention process, so definitely dig around to look for what you need. INVENTORS - PLEASE BE CAREFUL AND BE PREPARED!! Before you spend money on any invention related services, please invest the time necessary for you to learn more about what it takes to turn your invention idea into a product. You can save thousands of dollars and hundreds of hours of time by just learning more about the invention process first. We think that every hour you spend learning about inventing and the invention process and reading all the material available on our site can potentially save you thousands of dollars and hours of wasted time. If you have an idea for a new product or a significant improvement to an existing product and you think it can do really well if it was available for sale, what should you do about it? The first thing you should do is spend at least 10 hours reading up on the invention process and what it takes to be a successful inventor. If spending ten hours reading about the invention process sounds like a lot of work, then you should simply drop your idea and share your ideas freely with the hope that someone else hears about your great idea and turns it into a product the world will get to enjoy. If you are willing to spend at least ten hours reading up on inventing, then as you go about reading up on and learning about what it takes to invent a new product, you need to ask yourself whether you really are prepared to do everything it takes to have your idea turned into a successful product. If you DO have the time and resources to commit to turning your idea into a product, you can move forward to figuring out what you should do next. If you don't have the time and resources, drop your idea and don't waste any more time on becoming an inventor. The next key question is do you have the time and resources to personally develop, manufacture and sell the product yourself? If you do, there are many things you have to do right. And some of the resources and information featured on our tips for inventors would be a good starting point to get you on your way. You can see a list of resources in the next section of this page. If you do not have the time or resources to take an invention idea to the marketplace on your own, the other option is to try to license your idea to someone else. You want to find a licensing partner who has the ability to do a better job than you to do everything that is needed to take an idea, do all the work involved to get a finished product developed and then to launch and successfully sell the product. If you would like to pursue the idea of licensing or selling your idea to someone to make and sell your product idea, we at InventorSpot.com strongly recommend you do your research and in most cases, just drop the idea and move on with your life. Why do we say that? Well, the odds of successfully licensing your idea are very slim. And the effort involved to find a suitable licensing partner and to successfully license your invention is substantial. If you want to license your idea, we suggest you start by reading these articles (they are old but we consider them classics packed with good advice.). If after reading these articles, you still want to explore the idea of producing and selling your invention or finding a licenseing partner, here's some additional information you should look at. Here is an overview of some of the invention related topics you should become familiar with in order to be a successful inventor. 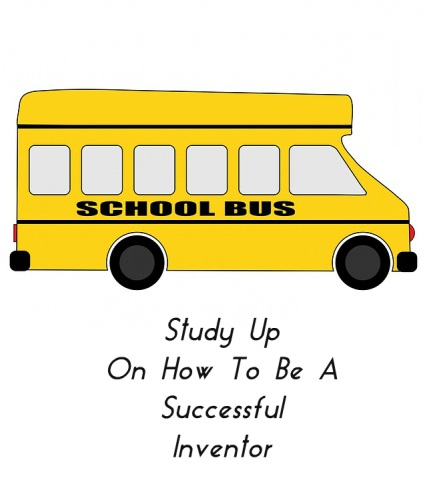 Being a successful inventor means you need to be a smart and savvy business person. The only proven way to be smart and savvy in business is to be unbelievably lucky, have a deep reservoir of experience to draw from, or study up on the basics and work really hard at learning what you don't know so that you will need to increase your odds of avoiding stupid mistakes and making wise business choices. 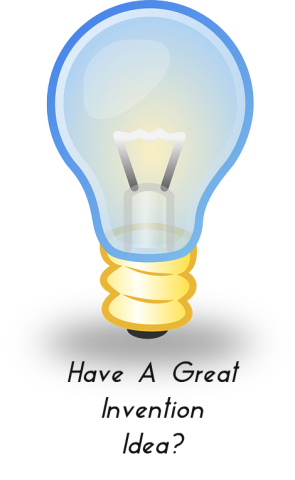 We hope you find the information on the invention process that we have collected and produced for you helpful. Just click on the link to go to the topic you are interested in and you should find some helpful information on that topic there. Note: For more detailed guidance, you can also look for additional advice and tips in our collection of recommended books for inventors.